The Wish-Fulfilling Gem Goes West ? "The wise are never arbitrary when leading others into harmony with the truth. Wise, they are guarded by truth, for they act in accord with the Dharma." - Dhammapada, verses 256 & 257. "... the heart of the matter is that even with their differences, all the Buddhist traditions are fundamentally of one taste. Please hold this as the highest and most essential understanding." Zangpo, Chökyi : Points to Remember about the View. All extant Buddhist scriptures, written in various Asian tongues, take up several library-shelves. Their history of composition is rather complex and the status of many parts is still under dispute. Fortunately, there is a consensus of sorts about certain texts written in Pâli, an Indian dialect probably close to Magadhan, the language spoken by the Buddha. 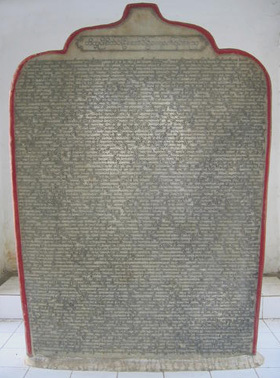 Considered foundational by Theravâda Buddhists in Sri Lanka, Burma & Thailand, the Pâli Canon was first orally preserved. The earliest texts go back to the time of Buddha Śâkyamuni. The canon was probably written down only as late as the first century BCE, but because of the mnemotechnics involved (cf. the formulaic, repetitive, poetical style), their correct transmission in not under dispute. In many Western minds, used to fundamental theology based on revealed scripture, this has given rise to the flawed idea "real" Buddhism can be found in the Pâli Canon rather than in the practice of historical & contemporary Buddhist practitioners. Indeed, despite the Pâli Canon, we only know approximately what the historical Buddha really said. It is not impossible people lost touch with the interpretative contexts of the surviving discourses. Given humour and irony were not foreign to the Buddha, makes it even more difficult to understand these texts as literal accounts of the religious life of their time. According to tradition, the oldest discourses ("sûtra" in Sanskrit and "sutta" in Pâli) of the Pâli Canon, like the Basket of Disciplinary Code (Vinaya-pitaka) and the Basket of Discourses (Sûtra-pitaka) were codified at the First Buddhist Council (ca. 480 BCE), held shortly after the Buddha entered "parinirvâna". There were 499 Arhats plus Ânanda present. On the basis of Upâli's account, the rules of discipline were set down, and on the basis of Ânanda's the Sûtra-pitaka. Then the text upon which all agreed was recited and thus memorized. Many doubt the historicity of this tale, but it reflects how the early schools conceived the process of canonization. That a first collection of texts was made relatively early, is however not in doubt. Around 345 BCE, a Second Council with 700 Arhats was held at Vaishâlî. Better documented, it is recognized as a historical event. The greater party (later to become the Mahâsânghikas) refused to accept the addition of rules to the Vinaya made by the smaller party (later to become the Sthaviras). Although disunity in matters of discipline was the reason for its convocation, in the Singhalese tradition of the Theravâda, the ideological schism between the Sthaviras and Mahâsânghikas (ca. bhiksu Mahâdeva, ca. 320 BCE), was considered to be the conflict leading up to it. However, other sources state the schism took place on the basis of differences over the rules of conduct ("vinaya"), and not over matters of doctrine, as would be the case later. Scholars conjecture another meeting took place in the same period. This Council at Pâtaliputra (ca. 308 BCE) is not recognized by the Pâli school of Sri Lanka and deemed sectarian. Further less important councils were held during the next centuries. the Abhidharma-pitaka : (Basket of the Special Teaching) : compendium of Buddhist psychology & philosophy grown out or built around technical concepts. Although some of these may have been introduced by the Buddha (cf. the tradition claiming the Abidharma was recited during the First Council), the bulk was composed between the 3th century and the first century BCE. Two complete baskets have survived : the Theravâdin (South-East Asia) and the Sarvâstivâdin (North-West Asia). The latter, composed in Sanskrit, survived only in Chinese and Tibetan translations. Those oldest portions of the Pâli Canon narrowly concerning the Buddha, like the Basket of Discourses and the Basket of Disciplinary Code, were, like the rest of the discourses, not written down until three or four hundred years after the physical demise of the Buddha. Because of the oral & social methods used to safeguard his words, they were most likely better kept & transmitted than we imagine today. The Pâli textual tradition seems to stabilize about 100 CE onwards. At this point the earliest Mahâyâna Sûtras are already extant ! So the notion "real" Buddhism is to be found in the Pâli Canon rather than in historical and/or contemporary Buddhist practice is, to say the least, questionable. Under the reign of King Ashoka the Great (304 - 232 BCE), the Sarvâstivâdins or "teaching that says everything is", splits off from the Sthaviras, the "adherents of the elders". They have their own canon, composed in Sanskrit, partly preserved in Chinese & Tibetan translations. The Abhidharma of the Sarvâstivâda school is considerably different from that of the Theravâda school. These sûtras were attributed to the Second & Third Turnings of the Wheel of Dharma by Buddha Śâkyamuni. The centuries either side of the start of the common era mark the rise of new sûtras, texts not belonging to the Tripitaka. In the earliest sûtras of this new movement (the Saddharma-pundarîka Sûtra or Lotus Sutra), the word "yâna" is used in the broader sense of "way" or "path". Eventually, this "new way" identified itself as "Mahâyâna", or "Great Way", a term becoming current only as late as the 4th century. Former Buddhist schools were dubbed "Hînayâna", or "Lesser Way" ... The distinction is foremost quantitative : the Greater Vehicle have a universal salvic aim, Buddhahood for all sentient beings, while the Lesser Vehicle seeks personal liberation only. Early Mahâyâna texts like the Saddharma-pundarîka Sûtra & the Astasâhasrikâ-prajñâpâramita Sûtra lack key Mahâyâna terms. The Vajracchedikâ Sûtra & the Kâśyapa-parivarta Sûtra do not even mention the Bodhisattva ideal. These early Mahâyânists seem primarily concerned with the Abidharma schools, the status of the Buddha & the relevance of lay versus monastic status to spiritual realization. From the first century CE to the middle of the first millennium CE, a vast variety of Mahâyâna literature is produced and its important sûtras mainly focus on the ideal of the Bodhisattva, cultivating "Bodhicitta". Many define themselves as "vaipulya" or "expanded", implying acceptance and knowledge of the teaching of the mainstream scriptures, but adding a more comprehensive perspective of the Dharma, particularly in terms of wisdom & compassion. The Mahâyana is not an institutional segregation, for there never was a Mahâyana Vinaya ! Mahâyânists are ordained within the "nikâyas" of non-Mahâyâna schools (in Tibet, all monks abide by the Sarvâstivâda Vinaya). Becoming a Mahâyânist is like expanding the Lesser Vehicle. The "sûtra" part of the Bodhisattva training (the Great Perfection Vehicle) does not contradict the teachings of the Lesser Vehicle, but "expands" them. The Sutric Bodhisattva achieves Buddhahood for the sake of all sentient beings. These sûtras were attributed to the Fourth Turning of the Wheel of Dharma and are intimately connected with the Third Turning. The last Turning is not accepted by the non-tantric schools. Within the context of the Mahâyâna, Buddhist Tantra gave rise to again a completely new body of texts. The emergence of this first phase of Vajrayâna or "Adamantine Vehicle", the third phase of Indian Buddhism, dates from the early 2nd century CE (other names for it are "Tantrayâna" & "Mantrayâna"). Its earliest tantras are from the "kriyâ" tantra class (Action Tantra) and were translated into Chinese from the 3rd century. This expansion of the Mahâyâna consists in the adoption of additional "turbo" technology ("upaya", or "skillful means") rather than in wisdom ("prajñâ"). In particular, rituals, specific yogic techniques & the use of Deity Yoga are outstanding. This "esoteric" Buddhism remained Indian, secretive & a private minority interest until the 8th century, when, with the arising of the Pâla dynasty of Bihar & Bengal (760 - 1142 CE), the Vajrayâna entered the great universities. Buddhist Tantra then becomes international. This second phase marks the origin of the Vajrayâna proper, including its symbolism, terminology & ritual. The latter is adaptive to circumstance, uses the "standard" subtle apparatus of Indian yoga (the Vajra-body of winds, channels, wheels & drops), adding the wisdom of seeing reality as it is, i.e. empty & interdependent. It was largely from the Indian universities at Vikramaśîla and Odantapurî that Buddhism was taken to Tibet. The Tantric Bodhisattva achieves Buddhahood for the sake of all sentient beings as soon as possible. The stages of the history of Tibetan Buddhism run parallel with the founding of its five major schools, less differentiated on doctrine than on practice and hosting all tenets on emptiness. All orders follow the "vinaya" of the Mûla-Sarvâstivâda School, the standard since the founding of the first monastery, Samyé. They also share common assumptions about what was inherited from India : Buddha provided divergent dispensations relative to trainees, condified by Tibetan doxographers into three distinct vehicles : the Lesser, Greater and Diamond Vehicles. All orders share the Mahâyâna orientation. Moreover, these exegetes also divided the various tenets on emptiness into four main schools : Great Exposition School, Sûtra School, Mind-Only School and Middle Way School. Each is associated with particular lineages, texts, practices, doctrines etc., but in all orders the Middle Way approach of Nâgârjuna is considered definitive. The heritage of these orders came to them from the scholastic institutions of northern India during the second dissemination of Buddhism and from the "siddha" lineages centered in Bihar & Bengal. Although often defined as "sects", from a Ri-mé approach all schools lead to awakening. In the late nineteenth century, because of the sectarian orientation of the orders, previously causing competition, persecution and fractional wars, a nonsectarian countermovement was initiated. This "Ri-mé" movement challenged the scholastic approach of the Gelugpa order and focused on Indian "root-texts". However, most of the Lamas adhering to this movement favour the view of "Shentong" or "other-emptiness" (Mipam is a prominent example of a Ri-mé Lama adhering to self-emptiness). In nonsectarian Ri-mé, all schools find their way into the "great stream" and from there flow into the "great ocean" of Dzogchen. The present studies are inspired by this lofty ideal. 1409 CE : the Gelug school : in 1409, Je Tsongkhapa (1357 - 1419), Tibet's most outstanding religious reformer & yogi-scholastic, founded Ganden Monastery, the original gompa of the Gelugpas, the Virtuous Ones. Other names for this school are "Gandenpa", recalling the school's first monastery and "New Kadampa", acknowledging Tsongkhapa's integration & propagation of Atiśa's Kadampa lineage. He collected the three Kadampa lineages and integrated them along with Sakya, Kagyu and other teachings. He also studied Dzogchen. His emphasis on reason, ethics and the analysis of the mind are remarkable. Placing great emphasis on pure moral conduct, the teachings of Tsongkhapa insist upon the absence of conflict between absence of inherent existence (the ultimate nature of emptiness) and valid conventional functioning according to determining laws, or dependent arising. While the Nyingma, Sakya & Kagyu schools formed the "Red Hats", Gelugpas were known as the "Yellow Hats". This iconic distinction points to the powerful new synthesis introduced by Tsongkhapa. His Gelug school was a fusion of lineages from a dozen earlier sects. Even today, this is the most prominent school, having the Dalai Lama among its ranks. During the golden age of the five schools and their numerous lineages, sects & subsects (775 - 1959), the native Tibetan shamanistic Bön tradition adapted the specifics of Shamanism to Buddhism. It survived and has recently been made part of Tibetan Buddhism by the XIVth Dalai Lama, standing at the same level as the other schools and deemed "the fifth school" (for the Old Kadam was incorporated in the Gelug school). Yungdrung Bön is the root culture and religion of Tibet. According to historical Bön texts, the kingdom of Zhang Zhung, where these teachings are said to have originated, was the closest neighboring kingdom to Tibet, existing until the end of the eighth century CE. Zhang Zhung extended from what is today the upper part of western Tibet through Nepal, northern India (Kashmir, Ladakh, Zanskar, etc.) to Pakistan (Kashmir) and the Karakoram area in China. Tönpa Shenrab was the legendary founder of the Bön, born 18.000 years ago (sic) ! He visited Tibet and introduced a series of practices found in no other form of Buddhism outside Tibet, like putting up prayer flags, making smoke offerings to protectors, performing divination, using astrology, long life rituals, harmonizing the environment, death-rituals, exorcisms, consecrations, empowerments, etc. These shamanistic practices were later successfully adapted to Buddhism, particularly in Tibet. This "New" Bön is organized in nine steps, of which the first four are "causal" and the last five "resultant" or "fruition". The higher-level teachings include Tantra & Dzogchen (the "Great Perfection"). The great scholar & encyclopedic writer Bu-ston (1290 - 1364) was primarily associated with putting in order the accumulation of five centuries of vast quantities of texts translated out of Sanskrit & Chinese. But at that time, the Buddhist centers in India had been largely destroyed by the Muslim invaders and Tibet became the principal storehouse of a vast array of Buddhist teachings. The Tibetans knew very well what they had learned and were able to put this knowledge to practical use in the fields of divination, yoga, magic & Tantra. As a result, they transmitted Indian Buddhist lineages for over more than a millennium (ca. 650 - 1959), while some of the Indian lineages began as early as ca. 150 CE. Novelty and creativity were and are not part of the logic behind the transmission of these lineages. Adaptation perhaps, but never invention. Neither can we say of Tsongkhapa he came up with new concepts or that he was a revolutionary. Gelugpas are known for their scholastic, rationalistic, conservative & pragmatic stand. With Tsongkhapa, the ideal of a final synthesis of all schools had been given body. Lamaism, the socio-political organization created by the nobility & the various schools, and centralized by the Gelug & the Vth Dalai Lama, has to be understood in this context. Without lineages and their empowerments, much would have been lost. Without the strict Guru/disciple context, pure transmission would have been very difficult, if not impossible. Indeed, despite the vast written corpus of Tibetan Buddhism, directly affecting human memory was and still is the preferred mode of transmission. Such a "personal" approach guarantees the unaltered continuity of the original teachings. If every master teaches his disciple mastership, then the link is never broken. By adhering to this strict discipline, most lineages survived. Thanks to the teachings of the Venerable Rinpoches in the West, much of what was "secret" is now published and so available to a wider number of people, much to the joy of those who wish to see the Buddhadharma flourish everywhere on this planet, and this in a scientific, nonpartisan spirit ! Nowadays, the traditional system of transmission is more of a hinderance than an asset. "When the iron bird flies, and horses run on wheels, the Tibetan people will be scattered like ants across the World, and the Dharma will come to the land of the Red Man." Indeed, since 1959, when Tenzin Gyatso, the XIVth Dalai Lama, fled Tibet, the history of the transmission of the Buddhayâna entered a new phase. Before, Lamas would never leave Tibet for the West and their vast & profound teachings were kept secret and in the hands of a small elite (like the Dalai Lamas, Throne Holders, Abbots & Senior Lamas). Since the sixties of the previous century, lots of texts have been translated & published in foreign languages, Western scholarship took up the challenge to scientifically grasp Tibetan history, language, culture, etc. and hosts of Venerable Rinpoches, on prolific donation tours, visited the West to teach, empower & build monasteries. As these teachers worked outside the protective circle of their monastic culture, former "secrets" were divulged with ease and this in a way unseen for over a millennium. After four decades of many excellent translations, teachings, empowerments, monasteries, retreats, etc. the teachings of Lord Buddha were adapted to the Western mind. What to say about this ? the rise of new Buddhist schools : the fact inner tensions between the Lamas-in-exile have given rise to renegate schools (cf. the conflict between the XIVth Dalai Lama & the New Kadampa Tradition), proves the point of laicism and the concept of a secular state, stressing the absence of religious interference in government affairs and vice versa. Such secularism allows for the rise of new schools, movements & groups, allowing Buddhism to diversify and adapt to the modern, postmodern and hypermodern way of life. The fact the current Dalai Lama is a reborn lineage holder of all Tibetan schools, runs against this pluralism and legitimizes a monist, buddhocratic view on Vajrayâna Buddhism. History shows this approach is possible, but the question is whether it is still tenable today and in the future. Judaism, Christianity & Islam lack historical authenticity. Indeed, canonization, usually initiated after the demise of the founding mystic, often, if not always, recontextualizes, interpolates and "adapts" the original teaching, allowing some to be lost for posterity. In Judaism, the redaction of the Torah has had many historical layers (cf. the Pentateuch, the work of Ezra, the Septuagint, Rabbinical tradition after the destruction of the Second Temple in 70 CE). In Christianity, the difference between Q, the source-teachings of the Jesus-people and the New Testament of the orthodox centrists is remarkable. Also in Islam, the various redactions of the Koran made it possible to posit different historical readings, sectarian interpretations & levels of meaning, as Sufism clearly demonstrates. Buddhism is not a "religion of the book", and so offers no revelation. Being non-theist or transtheist, its "scriptures" are Dharma teachings intended to assist those seeking enlightenment. By imagining 84.000 Dharma doctrines, the Buddhadharma point to the open, flexible nature of the Dharma, its capacity to change & adapt to new circumstances and new audiences. Just as scientists continue to discover new kinds of medicine, Bodhisattvas and Buddhas are able to devise new skillful means to liberate & enlighten sentient beings. This sets Buddhism apart as a dynamic science of mind and religious philosophy. Hence, within the context of the Four Turnings, new Buddhist scriptures may see the light. Absence of closure implies continuous change & (re)adaptation (so absent in theist theologies). So the goal of the Buddhadharma is not a life in accord with the fixed commandments of God, Gods, Goddesses or Buddhas, rewarding us in heaven or punishing us in hell, but actual Buddhahood, the unconditional state of true peace hic et nunc. In the Mahâyâna, this concrete goal is realized for the sake of all sentient beings, and, using the resultant technology of Tantrayâna, may even be ours in this lifetime. Mistakes are due to my own ignorance and not to the Buddhadharma. May all who encounter the Dharma accumulate compassion & wisdom. May sentient beings recognize their Buddha-nature and find true peace.